It’s not easy to follow a long list of instructions as we all know that we’re the type of people that likes things to be straightforward. DIY instructions can be quite a tedious thing to do but with these easy hacks, you don’t have to worry about it anymore. Take you old doorknobs and make used for something essential for your home like a place to hang your towel. Just cut out that part and stick it onto the wall. It’s that easy. Not knowing what to do with those remaining old drawers? Than why not make them into shelves. A simple hack like this can easily make your life easy. Feeling like painting your walls with some creative pattern? Take that used laundry basket; cut out the patter area; tape it onto the wall; and start painting those holes for a polka dot pattern. Having lots of snacks lying around? Take any extra shoe organisers and place it onto the kitchen wall. They make a perfect pantry organiser. Don’t feel like throwing away your old CD tower? 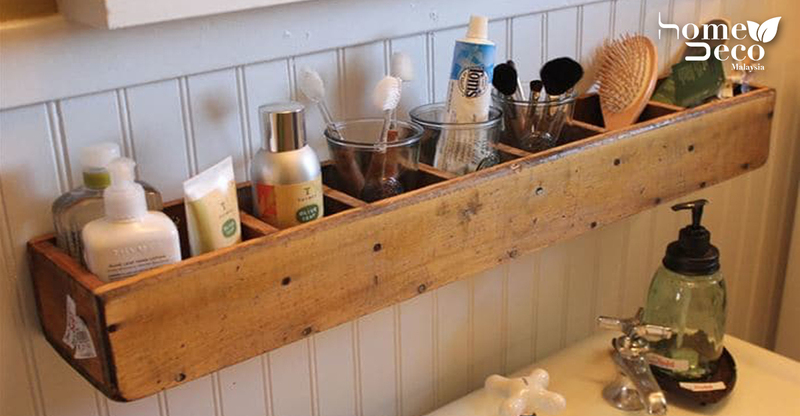 make use of it by reusing it as a bathroom organiser. A cheap CD tower turned on its side makes for a great bathroom organizer.